From her humble roots as a French-language teenage pop singer to international superstardom, Canadian singer Celine Dion became a multi-platinum, Grammy-winning crossover success in the '90s after breaking into the English-language market with heartfelt ballads that shined a spotlight on her powerful and inimitable voice. In addition to winning first prize at the 1988 Eurovision song contest, Dion has also scored multiple Grammy awards, including Album of the Year for 1996's Falling Into You. 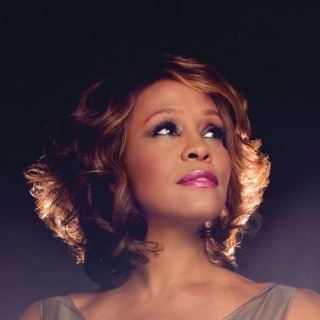 Her award-winning contributions to film soundtracks helped expand her presence into the pop culture mainstream, most notably with songs like "Beauty and the Beast" from the 1991 Disney animated film and the blockbuster "My Heart Will Go On" from 1997's box office smash Titanic. Decades into her career, her status as a beloved pop icon was further cemented with a record-breaking Las Vegas residency at Caesars Palace, making her one of the highest-grossing artists of all time. Born on March 30, 1968 in Charlemagne, Quebec, Céline Marie Claudette Dion was one of 14 children in a large family that fostered a love of music. She started singing at a young age, performing at the family's piano bar and at her older brother's wedding. Pursuing her dream of becoming a singer, she wrote her first song "Ce N'etait Qu'un Rêve" (It Was Only a Dream) in 1980 with her mother and brother. Released in June 1981, the single peaked in the Top 20 of the Quebec singles chart and landed on her debut full-length La Voix Du Bon Dieu (Super Etoiles/Saisons), which was released in November of the same year. Under the guidance of producer and manager René Angélil, Dion went on to win "Top Performer" and "Best Song" at the 1982 Yamaha World Popular Song Festival in Tokyo and multiple Felix Awards in her native Quebec for her third effort, Tellement J'ai D'amour, which won Best Pop Album, Newcomer of the Year, and Female Vocalist of the Year. The album was certified platinum in Canada while leaping to France, where it also became a hit. A steady stream of releases followed into the late '80s, including four studio albums, a handful of compilations, and a pair of Christmas collections, which helped her make inroads into international markets like Belgium and Switzerland. In 1987, Dion received a full pop makeover on her eighth LP, Incognito (CBS Records). The double-platinum set spawned five hit singles and was promoted with a Canadian tour that included a multi-month residency at the Saint-Denis Theatre in Montreal. In the midst of Incognito's whirlwind success, Dion won the 1988 Eurovision Song Contest, representing Switzerland with "Ne Partez Pas Sans Moi." Poised for greater international exposure, Dion finally made her move beyond her French-language Canadian releases, taking aim at the U.S. pop mainstream at the turn of the decade. Released on Columbia Records in April 1990, Unison was Dion's first English-language album, following a concerted effort to improve her language skills and vocal training. The leap paid off and Unison was a massive success, selling more than a million copies in the U.S. and millions worldwide. In addition to singles "Have a Heart" and "Unison," the album also included Billboard hits like "The Last to Know," "(If There Was) Any Other Way," and "Where Does My Heart Beat Now," which peaked at number four on the Hot 100 and number two on the Adult Contemporary chart. 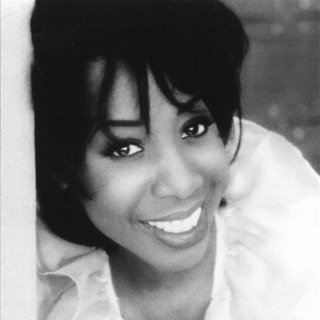 Unison's performance helped Dion attract the attention of Disney and she was recruited for 1991's "Beauty and the Beast," a duet with Peabo Bryson from the animated film of the same name. 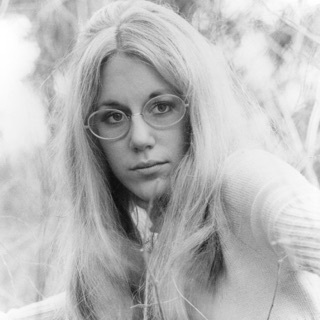 Produced by Walter Afanasieff and penned by Howard Ashman and Alan Menken, the ballad was a Top Ten hit, winning Dion a Grammy for Best Pop Performance by a Duo or Group With Vocals. Her second English-language album arrived in 1992. Riding the success of "Beauty and the Beast" -- included as the set's first single -- Celine Dion made confident steps away from the youthful pop of her previous releases, presenting a matured rebranding for the singer on yearning ballads and confident, R&B-inspired dance numbers. Featuring songwriting by Afanasieff, Diane Warren, and Prince, the self-titled effort entered the top 40 of the Billboard 200, eventually outselling Unison. It included hit singles "If You Asked Me To," "Nothing Broken but My Heart," and "Love Can Move Mountains." Meanwhile, away from the public eye, Dion and Angelil had begun a romantic relationship, which was subtly unveiled in 1993 in the liner notes of her next album (the couple would wed at the end of 1994). Issued in November, The Colour of My Love topped charts across Europe and in Canada, entering the Top Ten in the U.S. and even Japan. It was her highest-selling effort to date with over 20-million copies sold. The Juno- and Grammy-winning album yielded romantic hits like the Clive Griffin duet "When I Fall in Love" (from the Sleepless in Seattle soundtrack), U.K. chart-topper "Think Twice," and the international smash "The Power of Love," a cover of a Jennifer Rush song that went on to win the Grammy for Best Instrumental Arrangement Accompanying Vocal(s). As Love became Dion's biggest album to date, she shifted focus back to her French audience with another blockbuster. Following the release of live album À L'olympia, recorded in Paris in September 1994, Dion issued D'eux (released as The French Album in the U.S.) in 1995. The set included chart-topping singles like "Pour Que Tu E" and "Je Sais pas," which both shot to number one in France and Belgium. The album itself stayed atop the French chart for a whopping 44 weeks, becoming the best-selling French album of all time. Her months of French chart dominance came to an end in 1996 when she was toppled from the top spot by her own album, Falling Into You. Returning to English-language output, Dion hit another career high point with Falling Into You. Surpassing the success of her previous two efforts, Falling Into You found Dion at a peak in popularity, extending her chart dominance around the world with platinum singles like "It's All Coming Back to Me Now" and the Grammy-winning "Because You Loved Me" (from the Up Close and Personal soundtrack). Frequent collaborators Diane Warren and David Foster returned to work on the project, which won Grammy Awards for Album of the Year and Best Pop Album while becoming one of the best-selling albums of all time. In support of the effort, Dion embarked on a world tour that lasted over a year, hitting spots in markets like Asia and Australia. Mere months after the tour's final date in Switzerland, Dion returned to the top of the charts with a follow-up. Let's Talk About Love arrived in late 1997. Afanasieff and Foster, among others, returned to produce the effort, while guests like Barbra Streisand, the Bee Gees, Luciano Pavarotti, Bryan Adams, Diana King, Brownstone, Carole King, and George Martin were enlisted for vocal duties and songwriting. In addition to hit duets "Tell Him" and "Immortality," Let's Talk About Love featured what would become Dion's signature song, "My Heart Will Go On," the James Horner-penned theme from the blockbuster film Titanic. With its unmistakable flute melody and cinematic scope, the single matched the film's cultural dominance, becoming a ubiquitous radio staple and topping charts in Canada, Europe, Australia, and the U.S. After winning an Academy Award in 1997 for Best Original Song, "My Heart Will Go On" scored a Golden Globe in 1998 before sweeping the 1999 Grammys with wins for Record of the Year, Song of the Year, Best Female Pop Vocal, and Best Song for a Motion Picture or Television. While touring in support of Let's Talk About Love, Dion issued the holiday album These Are Special Times; a greatest-hits compilation, All the Way: A Decade of Song; and another French release, S'il Suffisait D'aimer. She capped off the decade by receiving the titles of Officer of the Order of Canada for Outstanding Contribution to the World of Contemporary Music and Officer of the National Order of Quebec. After her unbroken run of '90s chart success and international touring, Dion took a well-deserved break to focus on her family, prompted in part by a cancer diagnosis for Angelil and the 2001 birth of their first child. Dion returned to music in 2002 with a refreshed pop sound on A New Day Has Come. Another multi-platinum chart-topper, the album was inspired by the birth of her son and the September 11th attacks, which pushed Dion to focus on love, hope, and fresh beginnings. In addition to familiar faces like Afanasieff, Christopher Neil, Ric Wake, and Guy Roche, Dion also enlisted Swedish pop producers Anders Bagge, Peer Astrom, and Arnthor Birgisson, as well as songwriters Kara DioGuardi and Corey Hart. While not as globe-conquering as her late-'90s releases, A New Day managed to yield uplifting hits like "A New Day Has Come" and "I'm Alive," a pair of sweeping tracks that highlighted her new-millennium pop confidence. Settling into this reenergized comfort zone, Dion quickly followed with 2003's One Heart, home to the urgent dance-pop single "I Drove All Night," a cover of the Roy Orbison song that was popularized by Cyndi Lauper in 1989. The rest of the album showcased this sleek, pop-friendly rebirth, hiring producers like Cathy Dennis and Max Martin, known for their work with acts like Britney Spears and Kylie Minogue. Despite the attempt at reinvention, One Heart's stylistic shift was met with criticism, becoming her lowest-selling English-language effort in over a decade. Yet, even with this seemingly commercial disappointment, the album was still certified platinum and sold over five million copies worldwide. The mid-aughts remained relatively quiet for Dion. Taking a step back from the pop world, she entered the studio with Jean-Jacques Goldman, Erick Benzi, Jacques Veneruso, and Gildas Arzel for the folk-and-country-influenced 1 Fille & 4 Types, a surprising dip into hitherto unexplored genres for the artist that ended up being a hit for her French-language fans. A year later, she retreated to familiar adult contemporary territory on the baby-centric, multimedia collaboration with photographer Anne Geddes, Miracle, which featured Dion's covers of songs by John Lennon, Louis Armstrong, Roberta Flack, and others. 2004 also saw the release of A New Day...Live in Las Vegas, a concert recording of her multi-million dollar, five-year residency at Caesars Palace in Las Vegas. Occupied by these live shows -- which had Dion booked for nightly performances five days a week -- she released a comprehensive greatest-hits collection, On Ne Change Pas, which compiled her French-language hits from 1981 to 2005. In 2007, after the release of another French album, D'elles -- an ambitious concept featuring songs written by French female authors -- Dion returned with a course-correcting follow-up to One Heart. Taking Chances arrived at the end of 2007. A comeback of sorts, the LP included the set's sole hit "Taking Chances," written with Kara DioGuardi and the Eurythmics' David A. Stewart, and a cover of Heart's "Alone," reimagined with guitarist Ben Moody (ex-Evanescence). 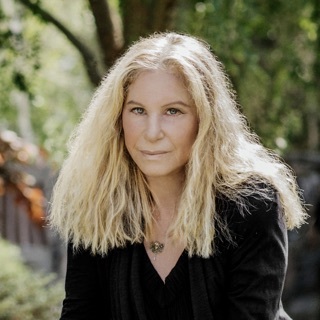 Despite being one of her lowest-selling English efforts, Taking Chances was supported with a record-breaking international tour that made stops in South Africa, China, Malaysia, and Australia, becoming one of the highest-grossing treks of all time. Another best-of compilation, My Love: Essential Collection (which collected hits released after 1999's All the Way), kept Dion on the charts following the conclusion of her world tour, which was commemorated on 2010's Taking Chances World Tour: The Concert, recorded in Boston and Montreal. She also signed on for a second multi-year concert residency at the Colosseum at Caesars Palace, which had a planned run that extended into 2019. Meanwhile, she issued another French album, Sans Attendre, in late 2012. Topping charts in worldwide French markets, the effort featured duets with Johnny Hallyday ("L'amour Peut Prendre Froid"), Jean-Pierre Ferland ("Une Chance Qu'on S'a"), and Henri Salvador ("Tant de Temps"). Eleventh English album, Loved Me Back to Life, followed in 2013. In addition to the Sia-penned title track, Loved Me also included duets with Ne-Yo ("Incredible") and Stevie Wonder ("Overjoyed"). In 2014, Dion's Vegas residency and an Asia tour were abruptly halted after Angelil's health began to further deteriorate. Although her performances resumed a year later in the summer of 2015, they were once again halted in early 2016 with the tragic deaths of both Angelil and her brother, Daniel Dion, which came within two days of each other. A devastated Dion took time away from the spotlight for a month, returning to the stage in February. That summer, she released Encore un Soir, an introspective set of uplifting pop that peaked at number one in Canada, France, Belgium, and Switzerland, notably becoming Dion's first French-language effort to chart on the Billboard charts. Encore was home to singles like the title track and "L'étoile," co-written by French slam poet Grand Corps Malade.